These Identity Panel Azure Marketplace Edition SaaS Hosting Terms of Service (“Agreement”) between you (“Customer”) and SoftwareIDM Inc. (“SIDM”), govern Customer’s access to and use of the Service, the permitted SIDM Software, the SIDM Applications and the SIDM Content. By accessing or using a Service in any manner, Customer agrees to the Agreement. Please refer to Section 15 for definitions of certain capitalized terms. 1.1 Service Subscriptions. Subject to Customer’s compliance with this Agreement, SIDM will make the applicable Services available to Customer during the Knowledge Package Subscription Term. SIDM will provide Support for the applicable Services to Customer during the Subscription Term at no additional charge. During the Subscription Term and any subsequent renewal periods, SIDM will use commercially reasonable efforts to make the Services available according to SIDM’s Service Level Schedule, which is available at http://support.identitypanel.com, and varies based on customer support package, and subject to planned downtime and any unscheduled emergency maintenance according to SIDM’s Maintenance Policy referenced in the SIDM Service Level Schedule. 1.2 Security and Protection of Customer Content. SIDM will maintain a security program materially in accordance with industry standards that is designed to (i) ensure the security and integrity of Customer Content; (ii) protect against threats or hazards to the security or integrity of Customer Content; and (iii) prevent unauthorized access to Customer Content. As part of this program, SIDM will maintain the administrative, physical and technical safeguards to protect the security of Customer Content that are described in the applicable Documentation, including those described in SIDM’s SOC II Type II Report (“Security Audit”) and SIDM Cloud Service Description at support.identitypanel.com. SIDM’s security safeguards include, without limitation, measures for preventing access, use, modification or disclosure of Customer Content by SIDM personnel except (a) to provide the Services and prevent or address service or technical problems, (b) as compelled by law in accordance with Section 7.2 (Compelled Disclosure) below, or (c) as Customer expressly permits in writing. In no event during a Subscription Term shall SIDM materially diminish the protections provided by the controls set forth in the Security Audit. 1.3 Trial Services. SIDM may make certain Services, SIDM Applications or specific features and functions, available without charge for limited periods for evaluation and non-production purposes (a “Trial”). Some of these Trials may be made available in an online sandbox, a self-contained cloud instance that SIDM pre-configures and pre-populates with data available for the evaluation of Services, SIDM Application(s) or specific features and functionalities. Such use of a Trial will be for the term specified by SIDM and may have limited features, functions, indexing capacity, data storage, data security, data continuity, data retention or other limitations as determined by SIDM, and SIDM may change or discontinue the Trial at any point. SIDM reserves the right to monitor Customer’s use of Trial in accordance with Section 2.6. Upon expiration of a specified term for an online sandbox Trial in particular, the sandbox environment and all Customer Content contained in the environment will become inaccessible. Customer understands that only Sections 2, 4, 5, 7, 9, 10.2, 11, 13, 14 and 15 of this Agreement apply to a Trial. Notwithstanding the foregoing, Section 8.2 shall apply without exception for the terms of Section 8.1. SIDM is not obligated to provide any maintenance, technical or other support for Trials. 1.4 Beta Services. SIDM may make available to Customer a preview, limited release, alpha, beta or other pre-release version or feature of the Service or SIDM Applications for non-production use (each, a “Beta Service”). Only Sections 2, 4, 5, 7, 9, 11, 12, 13, 14 and 15 of this Agreement apply to the Beta Service. Customer's use of a Beta Service will be for the term specified by SIDM and if no term is specified, then for the earlier of one year from the Beta start date of the Beta Service or when that version of the Beta Service becomes generally available. A Beta Service may have limited features, functions, indexing capacity, data storage, data security, data continuity, data retention or other limitations as determined by SIDM. SIDM reserves the right to monitor Customer’s use of Beta Services in accordance with Section 2.6. SIDM may discontinue the Beta Service and may decide never to make the features and functionality in the Beta Service generally available. Customer acknowledges that Beta Services, by their nature, have not been fully tested and may contain defects or deficiencies which may not be corrected by SIDM, that a Beta Service may undergo significant changes prior to release of the generally available final version. 1.5 Configuration Services. Subject to Customer’s payment of applicable fees, SIDM will provide the deployment, usage assistance, configuration, and/or training services (if any) set forth in an Order in accordance with SIDM’s standard professional services terms and conditions located at https://support.identitypanel.com/hc/en-us/articles/360007262874-SoftwareIDM-Agreement-for-Professional-Services. 2.1 Access and Use. Customer may only access and use the Services, SIDM Applications and SIDM Content in accordance with the terms of the Agreement. Customer agrees to provide accurate and complete information when Customer registers for and uses any Service and agrees to update all required information promptly. Each person who uses any Service must have a separate AzureAD username and password. Customer must provide a valid email address for each person that Customer authorizes to use Customer’s account, and Customer may only create one account per email address. Customer must provide any other information reasonably requested by SIDM. 2.2 Purchased Volumes. Each Service is provided to Customer according to the capacity, usage and storage volumes, as purchased on the Order, if any. 2.3 Transmission of Customer Content. Customer is responsible for obtaining and maintaining all telecommunications, broadband and computer equipment and services needed to access and use the Services and for paying all charges related thereto. Customer is the owner and/or controller of all of Customer Content that Customer transmits to the Services. Without limiting SIDM’s security obligations under Section 1.2 above, Customer is responsible for the security of Customer Content when transmitted to and from the Services. Customer acknowledges that any encryption of Customer Content stored (i.e., “encryption at rest”) on the Service may be subject to Customer’s separate purchase of encryption features available from SIDM. 2.4 Customer Responsibility for Users and Customer Content. Customer is solely responsible for: (a) Users’ compliance with the Agreement, (b) the accuracy, quality and lawful use of Customer Content and the means by which Customer acquired Customer Content, (c) taking steps to maintain appropriate security, protection, and backup of Customer Content, (which may include the use of encryption technology to protect Customer Content from unauthorized access), and (d) routine archiving of Customer Content. Customer is responsible for securing, protecting and maintaining the confidentiality of Customer’s account username, passwords and access tokens. Neither Customer nor its Users will share Customer passwords or access codes. Customer is responsible for any access and use of the Services via Customer’s or its Users’ accounts and for all activity that occurs in connection with Customer’s or its Users’ accounts, regardless of whether the activities were undertaken by Customer, a User or a third party. SIDM will not be liable for any loss or damage arising directly or indirectly from Customer’s failure to maintain the security of Customer’s account and password or for unauthorized access to Customer’s account. Customer agrees to notify SIDM immediately if Customer believes that an unauthorized third party may be using Customer’s account or if Customer’s account information is lost or stolen. Unless specifically identified in an Order that Customer is purchasing the Service for HIPPA, PCI or GovCloud, Customer agrees to not transmit or store within the Services: (i) any protected health data, as defined in the Health Insurance Portability and Accountability Act of 1996 (“HIPAA”) as amended and supplemented by the Health Information Technology for Economic and Clinical Health Act, including the HIPAA omnibus final rule; (ii) financial information protected under the Gramm-Leach-Bliley Act; (iii) except as provided in Section 12, information protected by the International Traffic in Arms Regulations (“ITAR”); or (iv) any matter that is export-controlled as provided in Section 13. 2.5 Third Party Content or Resources. Third Party Content is not part of the Services and is not supported by SIDM. Any Service may contain features or functions that enable the interoperation of certain Services or SIDM Applications with Third Party Content. To use such features or functions, however, Customer may be required to obtain access separately to such Third Party Content from the respective providers of such Third Party Content, and Customer may be further required to grant SIDM access to Customer accounts with such providers to the extent necessary for SIDM to provide a Service. By requesting or allowing SIDM to enable access to such Third Party Content in connection with the Services, Customer certifies that it has accepted all terms related to the Third Party Content and agrees to use the Third Party Content in accordance with the license or service terms provided by the provider of the Third Party Content. If Customer installs or enables (or directs or otherwise authorizes SIDM to install or enable) Third Party Content for use with any Service, Customer hereby authorizes SIDM to allow the provider of such Third Party Content to access Customer Content as necessary for the interoperation of such Third Party Content with the applicable Services. Customer agrees that SIDM is not responsible or liable for disclosure, modification or deletion of Customer Content resulting from access to Customer Content by such Third Party Content, nor is SIDM liable for any damages that Customer may incur or any impact on Customer’s experience of the Service, directly or indirectly, as a result of Customer’s use of, and/or reliance upon, any Third Party Content, sites or resources. 3.1 Fees and Taxes. Customer agrees to pay all fees and charges specified in the Orders. Subscription licenses to the Services, any SIDM Applications, and associated fees incurred are non-cancelable and non-refundable. Overdue charges will accrue interest monthly at the rate of 1.5% of the then-outstanding unpaid balance, or the maximum rate permitted by law, whichever is lower. Charges must be paid in advance, either annually or in accordance with any different billing period stated in the Order. All payments are due and payable either within 30 days from the date of SIDM’s invoice or such other period, if any, stated in the Order. All fees and charges quoted are exclusive of applicable taxes and duties, including any applicable sales and use tax. Customer is responsible for paying any taxes assessed based on Customer’s purchases under the Agreement. Any fees and payment terms for SIDM Applications not included in the Order will be as set forth on the access page for such SIDM Applications. 3.2 Future Functionality. Customer agrees that its purchases are not contingent on the delivery of any future functionality or features, or dependent on any oral or written statements made by SIDM regarding future functionality or features. 4.1 SIDM Ownership; Suggestions. As between Customer and SIDM, SIDM owns and reserves all right, title, and interest in and to the Services, the SIDM Software, the SIDM Applications and the SIDM Content, including all intellectual property rights therein. No rights are granted to Customer hereunder other than as expressly set forth herein. Customer grants to SIDM a perpetual, irrevocable, worldwide, nonexclusive, transferable, sublicensable right and license to commercially exploit in any manner SIDM deems fit any Suggestions that Customer provides to SIDM. (i) Access and use the Services listed on the Order for Customer’s internal business purposes, which does not include the provision of services for the benefit of third parties other than employees, contractors, and your business partners for the purpose of using the product as designed with Customer’s identity data. Customer may not access or use any Service in order to monitor its availability, performance, or functionality for competitive purposes. (ii) Use any applicable SIDM Applications listed on the Order that Customer has licensed and installed, or has licensed and asked SIDM to install on Customer’s behalf, solely in connection with Customer’s permitted use of the applicable Services. (iii) Use the SIDM Content, solely in connection with Customer’s permitted use of the Services. 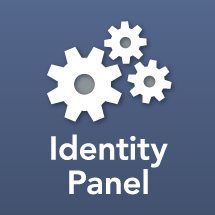 (iv) Use the API(s) in accordance with descriptions provided in the Documentation at https://support.identitypanel.com. (v) Copy, modify and use the APIs solely to develop Applications for use with the designated Service or SIDM Application (“Customer Applications”) and distribute Customer Applications solely for use with the designated Service or SIDM Application. The foregoing license is subject to the following conditions: (x) SIDM proprietary legends or notices contained in the APIs may not be removed or altered when used in or with the Customer Application; and (y) Customer may not make any statement that Customer Application is certified or that its performance is guaranteed by SIDM. Customer retains title to the Customer Applications, subject to SIDM’s ownership set forth in Section 4.1. If Customer allows end users of Customer Applications to modify or distribute the Customer Applications, Customer will limit such modification or distribution to use with the designated Service or SIDM Application only, and will flow down the conditions in (x) and (y) above to end users of Customer Applications. Customer agrees to assume full responsibility for the performance and distribution of Customer Applications. (vi) Access and use the Forwarder solely to forward Customer Content into the applicable Services. The terms of this subsection and this Agreement supersede and replace in its entirety any click-through agreement that Customer must accept prior to accessing the Forwarder. 4.3 License Restrictions. The grant of rights to Customer in Section 4.2 is subject to the following restrictions and limitations: Customer may not, and may not permit any third party to: (a) reverse engineer (except to the extent specifically permitted by statutory law), decompile, disassemble or otherwise attempt to discover source code, object code or underlying structures, ideas or algorithms of the Services, the SIDM Software, the SIDM Applications, the SIDM Content or any software, documentation or data related to the Services, the SIDM Software, the SIDM Applications or SIDM Content, (b) modify, translate or create derivative works based on the Services, the SIDM Software, the SIDM Applications or SIDM Content, (c) use the Services, the SIDM Software, the SIDM Applications or SIDM Content for timesharing or service bureau purposes, or for any purpose other than its own internal purposes; or (d) use the Services, the SIDM Software, the SIDM Applications or SIDM Content other than in accordance with the Agreement and in compliance with all applicable laws and regulations (including but not limited to any applicable privacy and intellectual property laws). Notwithstanding the foregoing, if any SIDM Application is provided to Customer under a separate license agreement that grants Customer more permissive or broader rights with respect to such SIDM Application (e.g., a separate license agreement that is provided to Customer as part of the provisioning process for such SIDM Application), then that separate license agreement, and not the Agreement, will govern Customer’s installation and use of such SIDM Application (but, for clarity, the Agreement will apply to all other SIDM Applications). 5.2 Access to and Use of Customer Content. By submitting or posting Customer Content on areas of the Services, Customer grants SIDM a worldwide, royalty free, non-exclusive license to access and use such Content on the Services for purposes consistent with this Agreement. 6.1 Term and Renewal. This Agreement shall expire upon the expiration or termination of Customer’s account or subscription to the Knowledge Package or an explicit cloud hosting package. Unless indicated otherwise in the Order, the Subscription Term and the Agreement will automatically renew for: an additional period of time equal to the length of the initial Subscription Term, unless one party notifies the other of its intent not to renew at least one (1) day in advance of the expiration of the Subscription Term or then-current renewal period. 6.2 Termination for Cause. A party may terminate this Agreement for cause if there is any material default or breach of this Agreement by the other party, unless the defaulting party has cured the material default or breach within 30 days from the date of notice. (iv) Any licenses to any SIDM Applications and SIDM Content relating to such Service will terminate. 6.4 Return of Customer Content. Upon request by Customer made before the effective date of termination of a Service subscription, SIDM may assist Customer with the transition of Customer Content for a mutually agreed upon fee. Thirty-one (31) days following expiration or termination of Customer’s account or subscription for a Service, SIDM will have no obligation to maintain or provide any of Customer Content relating to such Service, and Customer hereby authorizes SIDM thereafter to delete all Customer Content relating to such Service that is in its possession or under its control, unless SIDM is otherwise legally prohibited from doing so. 6.5 Refund or Payment upon Termination. If this Agreement is terminated by Customer in accordance with Section 6.2 (Termination for Cause), SIDM will refund Customer any prepaid Subscription fees covering the remainder of the Subscription Term after the effective date of termination. If this Agreement is terminated by SIDM in accordance with Section 6.2, Customer will pay any unpaid fees covering the remainder of the then-current Subscription Term after the effective date of termination. In no event will termination relieve Customer of its obligation to pay any fees payable to SIDM for the period prior to the effective date of termination. 7.1 Confidential Information. Unless otherwise provided in writing, the Receiving Party agrees to: (i) protect the Disclosing Party’s Confidential Information using the same degree of care (but in no event less than reasonable care) that it uses to protect its own confidential information; (ii) limit use of Disclosing Party’s Confidential Information for purposes consistent with this Agreement, and (iii) limit access to Disclosing Party’s Confidential Information to its employees, contractors and agents or those of its Affiliates who have a bona fide need to access such Confidential Information for purposes consistent with this Agreement and who are subject to confidentiality obligations no less stringent than those herein. 7.2 Compelled Disclosure of Confidential Information. Notwithstanding the foregoing terms of Section 7.1, the Receiving Party may disclose Confidential Information of the Disclosing Party if it is compelled by law to do so, provided the Receiving Party gives the Disclosing Party prior notice of such compelled disclosure (to the extent legally permitted) and reasonable assistance, at the Disclosing Party's cost, if the Disclosing Party wishes to contest the disclosure. If the Receiving Party is compelled by law to disclose the Disclosing Party’s Confidential Information as part of a civil proceeding to which the Disclosing Party is a Party, and the Disclosing Party is not contesting the disclosure, the Disclosing Party will reimburse the Receiving Party for its reasonable cost of compiling and providing secure access to such Confidential Information. 8.1 SIDM’s Warranties. SIDM warrants that during an applicable Subscription Term (a) SIDM will not materially decrease the overall functionality of the Services, or (b) the Services will perform materially in accordance with the applicable Documentation. For any breach of a warranty above, Customer’s sole and exclusive remedies are those described in the Termination and Refund of Payment upon Termination sections above. 8.2 Disclaimers. EXCEPT AS EXPRESSLY SET FORTH IN 8.1 ABOVE, THE SERVICES ARE PROVIDED TO CUSTOMER ON AN "AS IS" AND "AS AVAILABLE" BASIS, without any express representations or warranties of any kind, and, TO THE FULLEST EXTENT PERMITTED BY LAW, SIDM disclaims all statutory or implied representations, warranties, terms and conditions with respect to the SERVICES, including any representations or warranties of satisfactory quality, merchantability, fitness for a particular purpose, noninfringement and title. SOME JURISDICTIONS DO NOT ALLOW THE EXCLUSION OF CERTAIN WARRANTIES. TO THE EXTENT SUCH A LAW APPLIES TO CUSTOMER, SOME OR ALL OF THE EXCLUSIONS SET FORTH ABOVE MAY NOT APPLY TO CUSTOMER, AND CUSTOMER MAY HAVE ADDITIONAL RIGHTS. IN NO EVENT WILL THE AGGREGAGE LIABILITY OF EACH PARTY TOGETHER WITH ANY OF ITS AFFILIATES ARISING OUT OF OR RELATED TO THIS AGREEMENT EXCEED THE TOTAL AMONT PAID BY CUSTOMER AND ITS AFFILIATES HEREUNDER FOR SERVICES GIVING RISE TO THE LIABILITY IN THE TWELVE MONTHS PRECEDING THE FIRST INCIDENT OUT OF WHICH THE LIABILITY AROSE. THE FOREGOING LIMITATION WILL APPLY WHETHER AN ACTION IS IN CONTRACT OR TORT AND REGARDLESS OF THE THEORY OF LIABILITY, BUT WILL NOT LIMIT CUSTOMER OR CUSTOMER’S AFFILIATE’S OBLIGATIONS UNDER THE “PAYMENTS” SECTION ABOVE, AND WILL NOT BE DEEMED TO LIMIT CUSTOMER’S RIGHTS TO SERVICE LEVEL CREDITS UNDER SIDM’S SERVICE LEVEL SCHEDULE. IN NO EVENT WILL EITHER PARTY OR ITS AFFILIATES HAVE ANY LIABILITY ARISING OUT OF OR RELATED TO THIS AGREEMENT FOR ANY LOST PROFITS, REVENUES, GOODWILL, OR INDIRECT, SPECIAL, INCIDENTAL, CONSEQUENTIAL, COVER, BUSINESS INTERRUPTION OR PUNITIVE DAMAGES, WHETHER THE ACTION IS IN CONTRACT OR TORT AND REGARDLESS OF THE THEORY OF LIABILITY, EVEN IF A PARTY’S OR ITS AFFILIATES HAVE BEEN ADVISED OF THE POSSIBILITY OF SUCH DAMAGES OR IF A PARTY’S OR ITS AFFILIATES’ REMEDY OTHERWISE FAILS OF ITS ESSENTIAL PURPOSE. THE FOREGOING DISCLAIMER WILL NOT APPLY TO THE EXTENT PROHIBITED BY LAW. SOME JURISDICTIONS DO NOT ALLOW THE EXCLUSION OR LIMITATION OF CERTAIN DAMAGES. TO THE EXTENT SUCH A LAW APPLIES TO CUSTOMER, SOME OR ALL OF THE EXCLUSIONS OR LIMITATIONS SET FORTH ABOVE MAY NOT APPLY TO CUSTOMER, AND CUSTOMER MAY HAVE ADDITIONAL RIGHTS. 10.1 Indemnification by SIDM. SIDM will defend Customer, and pay all damages (including attorneys’ fees and costs) finally awarded against Customer, or that are agreed to in a court-approved settlement, to the extent a claim, demand, suit or proceeding is made or brought against Customer by a third party (including those brought by the government) alleging that the SIDM Software infringes or misappropriates such third party’s United States patent, copyright, trademark or trade secret (a “Customer Claim”), provided that Customer: (i) provides SIDM with prompt written notice of the Customer Claim, (ii) gives SIDM sole control of the defense and settlement of the Customer Claim (except that SIDM may not settle any Customer Claim that requires any action or forbearance on Customer’s part without Customer’s prior consent, which Customer will not unreasonably withhold or delay), and (iii) gives SIDM all reasonable assistance, at SIDM’s expense. SIDM will have no obligation under the foregoing provision to the extent a Customer Claim arises from Customer’s breach of the Agreement, Customer Content, Third Party Content, SIDM Content or the combination of the SIDM Software with: (a) Customer Content, (b) Third Party Content (c) any software other than the SIDM Software, or (d) any hardware or equipment. SIDM may in its sole discretion and at no cost to Customer: (1) modify any Service and/or SIDM Software so that it no longer infringes or misappropriates a third party right, (2) obtain a license for Customer’s continued use of the SIDM Software, in accordance with the Agreement, or (3) terminate this Agreement and refund Customer any prepaid fees covering the unexpired Subscription Term. 10.2 Customer Indemnity of SIDM. Unless expressly prohibited by applicable law, Customer will defend, and pay all damages (including attorneys’ fees and costs) finally awarded against SIDM, or that are agreed to in a court-approved settlement, to the extent a claim, demand, suit or proceeding is made or brought against a SIDM Entity by a third party (including those brought by a government entity) that: (i) alleges that Customer Content, Customer Applications or Customer’s use of any Service infringes or misappropriates such third party’s patent, copyright, trademark or trade secret, or violates another right of a third party, (ii) arises out of the activities of Users, or (iii) alleges that Customer Content, Customer Applications or Customer use of any Service violates applicable law or regulation (each, a “SIDM Claim”), provided that SIDM: (a) gives Customer prompt written notice of the SIDM Claim, (b) gives Customer sole control of the defense and settlement of the SIDM Claim except that Customer may not settle any SIDM Claim that requires any action or forbearance on SIDM’s part without SIDM’s prior consent (that SIDM will not unreasonably withhold or delay), and (c) SIDM gives Customer all reasonable assistance, at Customer expense. We provide the Services, including all related SIDM Software, SIDM Applications, SIDM Content and technology, for U.S. federal government end use solely in accordance with the following: Government technical data and software rights related to the Services and SIDM Content include only those rights customarily provided to the public as defined in this Agreement. This customary commercial license is provided in accordance with FAR 12.211 (Technical Data) and FAR 12.212 (Software) and, for Department of Defense transactions, DFAR 252.227-7015 (Technical Data–Commercial Items) and DFAR 227.7202-3 (Rights in Commercial Computer Software or Computer Software Documentation). If a government agency has a need for rights not conveyed under these terms, it must negotiate with SIDM to determine if there are acceptable terms for transferring such rights, and a mutually acceptable written addendum specifically conveying such rights must be included in any applicable contract or agreement. Those Customers who access or use the Services in a specially isolated Microsoft Azure Government (AzureGov) (US) region represent and warrant that Customer and each of its Users will only access the Services in the AzureGov (US) region if: (i) Customer and each of its Users are “US Person(s)” as defined under ITAR (see 22 CFR part 120.15); (ii) Customer and each User, if required by ITAR, have and will maintain a valid Directorate of Defense Trade Controls registration; (iii) Customer and each User are not subject to export control restrictions under US export control laws and regulations (i.e., Customer and each User are not a denied or debarred party or otherwise subject to sanctions); and (iv) Customer and each User maintain an effective compliance program to ensure compliance with applicable US export control laws and regulations, including ITAR, as applicable. Customer is responsible for verifying that any User accessing Customer Content in the AzureGov (US) is eligible to access to such Customer Content. The Services in the AzureGov (US) region may not be used to process or store classified data. If Customer or its User should introduce classified data into the Services in the AzureGov (US) region, Customer will be responsible for all sanitization costs incurred by SIDM. The Services, the SIDM Software, and/or SIDM Content, or any feature or part thereof, may not be available for use in all jurisdictions, and SIDM makes no representation that the Services, the SIDM Software, and/or SIDM Content, or any feature or part thereof is appropriate or available for use in any particular jurisdiction. To the extent Customer chooses to access and use any Service, the SIDM Software, and/or SIDM Content, Customer does so at Customer’s own initiative and at Customer’s own risk, and Customer is responsible for complying with any applicable laws, rules, and regulations with respect to such access and use. Customer’s and its Users’ use of the Services, the SIDM Software, and/or SIDM Content is subject to the customs and export control laws and regulations of the United States and may also be subject to the customs and export laws and regulations of other countries. Customer and its Users will fully comply with all applicable customs and export control laws and regulations of the United States and any other country where Customer or its Users use the Services, the SIDM Software, and/or SIDM Content. Customer certifies that Customer and its Users are not on any of the relevant U.S. Government Lists of prohibited persons, including but not limited to the Treasury Department’s List of Specially Designated Nationals, and the Commerce Department’s List of Denied Persons or Entity List. Customer further certifies that Customer or its Users will not export, re-export, ship, transfer or otherwise use the Services, the SIDM Software, and/or SIDM Content in any country subject to an embargo or other sanction by the United States, including, without limitation, Iran, Syria, Cuba, Sudan and North Korea, and that Customer or its Users will not use the Services, the SIDM Software, and/or the SIDM Content for any purpose prohibited by U.S. laws, including, but not limited to, nuclear, chemical, missile or biological weapons related end uses. Customer or its Users are prohibited from sending to Customer’s account any data or software that cannot be exported without prior written government authorization, including but not limited to, certain types of encryption software. These assurances and commitments will survive termination of this Agreement. 14.1 Anti-Corruption. SIDM uses diligent efforts to implement and maintain programs for its compliance with anti-corruption and anti-bribery laws. Each party agrees that Customer it has not received or been offered any illegal or improper bribe, kickback, payment, gift, or thing of value from any employees or agents of the other party in connection with this Agreement. Reasonable gifts and entertainment provided in the ordinary course of business do not violate the above restriction. If either party learns of any violation of the above restriction, such party will use reasonable efforts to promptly notify the other party, in the case of notices to SIDM, to our Legal Department at legal-notices@SIDM.com, and in the case of Customer to the main contact address provided by Customer to SIDM. 14.2 Governing Law; Venue. For Customers domiciled in the United States, Canada, Mexico, or a country in Central or South America or the Caribbean (the “Americas”), this Agreement will be governed by and construed in accordance with the laws of the State of Illinois, as if performed wholly within the state and without giving effect to the principles of conflict of law. For such Customers, any legal action or proceeding arising under this Agreement will be brought exclusively in the federal or state courts located in Chicago, Illinois and the parties hereby consent to personal jurisdiction and venue therein. SIDM may seek injunctive or other relief in any state, federal, or national court of competent jurisdiction for any actual or alleged infringement of intellectual property or other proprietary rights of SIDM, its Affiliates, or any third party. For Customers domiciled outside the Americas, this Agreement will be governed by the laws of England and Wales. For such Customers, any legal action or proceeding arising under this Agreement shall be referred to and finally resolved exclusively by arbitration in London by a panel of one (1) arbitrator in accordance with the Arbitration Rules of the London Court of International Arbitration ("LCIA Rules") for the time being in force, which rules are deemed to be incorporated by reference to this clause. English shall be the official language for the arbitration. The arbitrator shall be appointed jointly by both parties and if the parties cannot agree on the identity of the arbitrator within thirty (30) days of a request for arbitration, the arbitrator shall be selected in accordance with the LCIA Rules. The award rendered by the arbitrator shall be final and binding on the parties and may include costs, including a reasonable allowance for attorney/solicitors' fees, and judgment thereon may be entered in any court having competent jurisdiction. Notwithstanding anything to the contrary in this Section, neither party will be required to arbitrate any dispute relating to actual or threatened (i) unauthorized disclosure of Confidential Information or (ii) violation of SIDM’s proprietary rights. Either party will be entitled to receive in a court of competent jurisdiction injunctive, preliminary or other equitable relief, including court costs and fees of attorneys and other professionals, to remedy any actual or threatened violation of its rights. Neither the Uniform Computer Information Transactions Act (“UCITA”), nor the United Nations Convention for the International Sale of Goods will apply to this Agreement. 14.3 Independent Contractors; No Third Party Beneficiaries. The parties are independent contractors. This Agreement does not create a partnership, franchise, joint venture, agency, fiduciary or employment relationship between the parties. The third-party licensors of SIDM Content are express third-party beneficiaries of the Agreement. There are no other third-party beneficiaries of this Agreement. Customer represents that it has the authority to bind itself and its Affiliates to the terms and conditions herein. 14.4 Amendment; Severability. This Agreement may only be amended by a written amendment signed by both parties, unless otherwise provided herein. If any provision of this Agreement is held by a court of competent jurisdiction to be contrary to law, invalid or unenforceable, the provision will be modified by the court and interpreted so as best to accomplish the objectives and intent of the original provision to the fullest extent permitted by law, and the remaining provisions of this Agreement will remain in effect. If such construction is not possible, the invalid or unenforceable portion will be severed from this Agreement but the remainder of the Agreement will remain in full force and effect. 14.5 Assignment. Customer may not assign, delegate or sublicense any of Customer’s rights or obligations hereunder, whether by operation of law or otherwise, without the prior written consent of SIDM. 14.6 No waiver. The failure of either party to exercise or enforce any right or provision of this Agreement will not constitute a waiver of such right or provision or of any other right or provision. All waivers must be in a signed writing to be effective. 14.7 Force Majeure. SIDM and its Affiliates, subsidiaries, officers, directors, employees, agents, partners and licensors will not be liable for any delay or failure to perform any obligation under this Agreement where the delay or failure results from any cause beyond SIDM’s or its Affiliates’, officers’, directors’, employees’, agents’, partners’, or licensors’ reasonable control, including, without limitation, acts of God, labor disputes or other industrial disturbances, systemic electrical, telecommunications, or other utility failures, earthquake, storms or other elements of nature, blockages, embargoes, riots, acts or orders of government, acts of terrorism, or war. 14.9 Notices to Customer and Consent to Electronic Communications. Customer consents to receiving electronic communications and notifications from SIDM in connection with Customer’s use of the Services and the Agreement. Customer agrees that any such communication will satisfy any applicable legal communication requirements, including that such communications be in writing. SIDM may provide Customer with notices regarding the Services, including changes to this Agreement, by email to the email address of Customer’s administrator (and/or other alternate email address associated with Customer Account if provided), or by regular mail. Notices that are provided by email will be effective when SIDM sends the email. It is Customer responsibility to keep Customer email address current. Customer will be deemed to have received any email sent to the email address then associated with Customer’s account when SIDM sends the email, whether or not Customer actually receives the email. In the event Customer does not wish to accept any material change to the Services or to this Agreement, Customer shall have the right, as its sole remedy, to terminate this Agreement within thirty (30) days of SIDM’s notice of such change, and, if Customer exercises such termination right, SIDM shall provide a pro rata refund to Customer equal to the amount fees pre-paid by Customer for the Service that corresponds to the period after the date of such termination for the Term. 14.10 Survival. The following sections will survive the termination or expiration of the Agreement: 2.2, 2.3, 2.4, 4.1, 5, 6.3, 6.4, 6.5 and 7-15. 15.1 “Affiliate” means any entity that directly or indirectly controls, is controlled by, or is under common control with the subject entity. "Control," for purposes of this definition, means direct or indirect ownership or control of more than 50% of the voting interests of the subject entity. 15.2 “API” or “Application Programming Interface” means a set of programming instructions, and standards for accessing a Service that SIDM provides to Customer in the Documentation and any other materials identified and provided by SIDM for and with a Service that are designed to enable the creation of Applications or otherwise support interoperability between a Service and Customer’s systems or environment. 15.3 “Application” means any suite, configuration file, add-on, technical add-on, example module, command, function or application that extends the features or functionality of the applicable Service or the underlying SIDM Software. 15.4 “Confidential Information” means all nonpublic information disclosed by a party ("Disclosing Party”) to the other party (“Receiving Party”), whether orally or in writing, that is designated as “confidential” or that, given the nature of the information or circumstances surrounding its disclosure, should reasonably be understood to be confidential. Customer Confidential Information includes Customer Content. SIDM Confidential Information will include: (i) nonpublic information relating to SIDM or its Affiliates’ or business partners’ products or services (including a Beta Service), technology, customers, business plans, promotional and marketing activities, finances and other business affairs; (ii) third-party information that SIDM is obligated to keep confidential; and (iii) the nature, content and existence of any discussions or negotiations between Customer and SIDM or its Affiliates. Notwithstanding the foregoing, “Confidential Information” does not include any information that: (i) is or becomes generally known to the public without breach of any obligation owed to the Disclosing Party, (ii) was known to the Receiving Party prior to its disclosure by the Disclosing Party without breach of any obligation owed to the Disclosing Party, (iii) is received from a third party without breach of any obligation owed to the Disclosing Party, or (iv) was independently developed by the Receiving Party. 15.6 “Customer Applications” has the meaning set forth in Section 4.2 (v). 15.7 “Customer Content” means Customer Applications, and any information, data, or materials that Customer transmits, or that is transmitted by a third party on Customer’s behalf, into a Service. 15.8 “Data Storage” means the volume of data storage Customer purchases, as listed in the Order. If not listed, the default amount is 200GB. 15.9 “Documentation” means online user guides, documentation and help and training materials published on SIDM’s website at http://support.identitypanel.com or accessible through the applicable Services, as may be updated by SIDM from time to time. 15.10 “Effective Date” means the date a Service commences as listed on the Order. 15.11 “Forwarder” means that SIDM software application that collects data from remote end points for use as specified in the Documentation. 15.12 “Maximum Daily Indexing Volume” means the maximum aggregate volume, in gigabytes, of uncompressed data that Customer may index using a Service each calendar day, as such maximum volume is specified in an Order. 15.13 “Order” means a Customer purchase order or any equivalent ordering document in electronic or hard copy form, that SIDM has accepted and confirmed (including by confirmation email), specifying the Services to be provided hereunder, the Maximum Daily Indexing Volume, the Data Storage that Customer is requesting and the Subscription Term. Orders do not include the terms of any preprinted or other terms that are additional or inconsistent with the terms of the Agreement. 15.14 “Service” means any of the hosted services provided and maintained by SIDM for online searching, monitoring and analyzing of machine-generated data, including the associated API’s, the SIDM Software, and the SIDM Content (including, as applicable, Beta Services ). The Services do not include Customer Content, or any Third Party Content, even if made available to Customer by SIDM in connection with any Service. 15.15 “SIDMbase” means SIDM’s online directory of or platform for Applications, currently located at support.identitypanel.com and any and all successors, replacements, new versions, derivatives, updates and upgrades thereto. 15.16 “SIDM Application(s)” means Applications made available through SIDMbase that are identified on SIDMbase as (i) published by SIDM (and not by any third party) and (ii) interoperable with a Service. “SIDM Application(s)” does not include Customer Content or any Third Party Content. 15.17 “SIDM Cloud Site” means www.SIDMcloud.com any successor or related site designated by SIDM for any Service. 15.18 “SIDM Content” means the information, data, technology and materials, other than SIDM Applications, that SIDM makes available at its discretion in connection with the Services or on a SIDM Cloud Site, including Documentation, sample code, software libraries, command line tools, and other related technology such as, add-ons and templates. SIDM Content does not include SIDM Software. 15.19 “SIDM Software” means a specific and unique instance of the SIDM software product that is made available to Customer as a Service or a part thereof, and includes any new releases or maintenance and support updates to such software as SIDM makes generally commercially available during the Subscription Term. SIDM Software does not include SIDM Applications. 15.20 “Subscription Term” means the duration of Customer’s subscription to the applicable Service(s) under the Agreement that begins on the Effective Date and ends on the date listed on the applicable Order. 15.21 “Suggestion” means any suggested improvement or enhancement and any other recommendation or other feedback with respect to the Services, SIDM Software, SIDM Applications, SIDM Content, or SIDM Inc. that Customer provides to SIDM. 15.23 “Third Party Content” means information, data, technology or materials made available to Customer by any third party that Customer licenses and adds to a Service or directs SIDM to install in connection with a Service. Third Party Content includes but is not limited to web-based or offline software applications, data service or content that are provided by third parties that interoperate with the SIDM Software or a Service, as for example, a software application that is developed by or for Customer, or a third-party software application that is available through www.SIDMbase.com. 15.24 "User" means “Customer” and an individual whom Customer authorizes to use the Services and whom Customer (or SIDM, at Customer request) have supplied a user identification and password. Users may, for example, include Customer employees, consultants, contractors and agents.